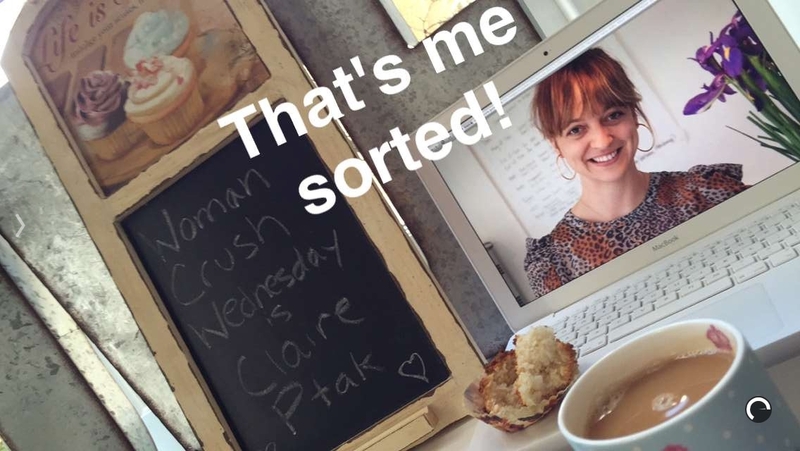 I’ve been busting to get to this week’s Woman Crush Wednesday. If it is your first time, you’re very welcome. And if you’re returning I’m so grateful to have you back again. It is an utter privilege to share the love for some amazing women out there in the culinary world. And though I have spoken of this week’s honoree before, it was more focused on the fruits of her labor so to speak. American chef Claire Ptak is the owner of Violet Cakes Bakery in London. I’ve been there twice now (you can read about my first adventure by clicking here) and had the pleasure of meeting her on one of those occasions. 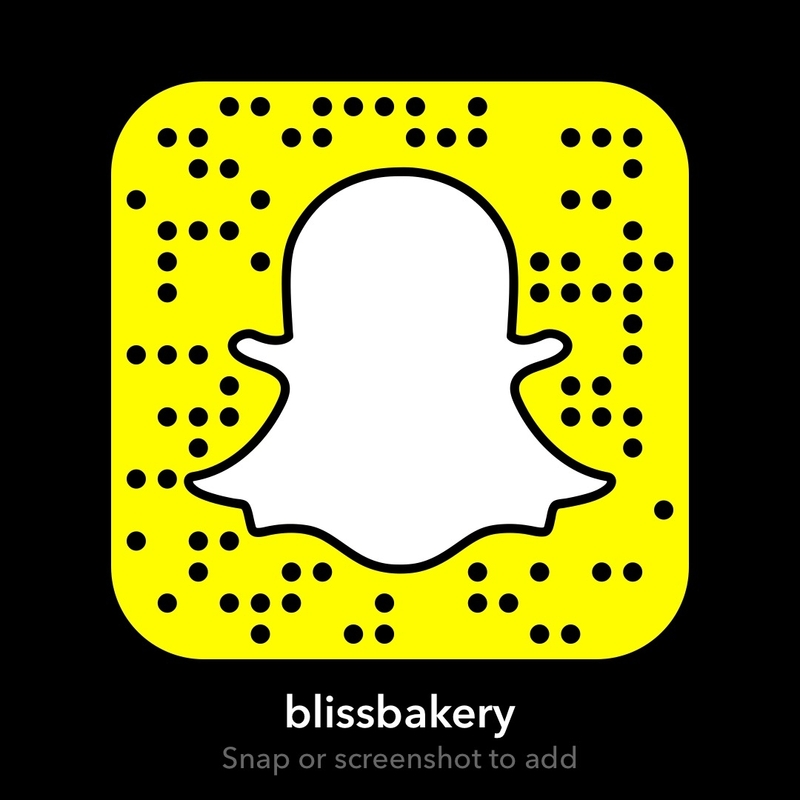 I am delighted to give her the just attention she deserves and recreate one of her recipes live on snapchat (username: blissbakery) and share the love on here as well. Preheat the oven to 350F/180°C/160°C (fan)/gas3. Line a baking tray with parchment paper. Measure out all the ingredients into a medium-sized, heavy-bottomed pan and place over a medium-low heat, stirring constantly. As the mixture starts to warm up, it will be easier to mix everything together. Reduce the heat to low and stir continuously until all the sugar has melted and the mixture starts to look like rice pudding. Keep stirring until the mixture thickens and begins to dry out, keeping a careful watch to make sure it does not catch and scorch on the bottom. Scoop individual portions of the mixture on to the lined baking tray, leaving enough space between each one so they have room to expand. Bake for 15-20 minutes, until the macaroons are puffed and golden. Allow them to cool completely before serving or storing. These will keep well for up to 1 week in an airtight container. Okay, can I just share a little secret between you and me? I am totally kookoo for coconut. I’ve been going through a pretty long period of craving it. Usually when I crave something I suspect my body needs it. So when I was deciding which of Claire’s recipes to do, the decision lasted about a nano second. And I am so so happy that I made these. 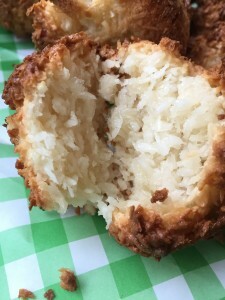 They are literally the best coconut macaroons I have every tasted! 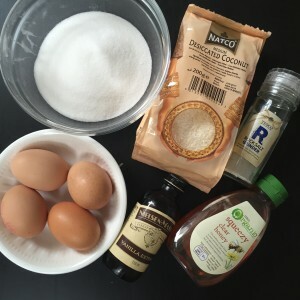 The recipe is very straightforward and simple. I got a bit concerned when they first came out of the oven as I thought I had over baked them even though I followed the recipe. But the genius is that the golden color makes them even more awesome! They get slightly crunchy on the outside! OMG and then the inside stays moist and chewy! I read a bit about how she came up with the recipe and apparently she was having a visitor over from America who was a fan of coconut macaroons because they are gluten free. So Claire whipped these up and they have been on her menu every since. 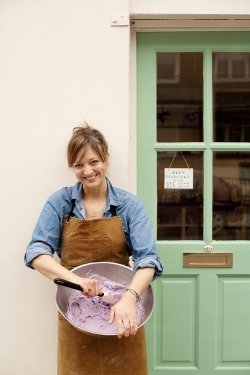 Claire’s success in her stall at the London Broadway Market, which led to the opening of the bakery, is indicative of her creative and entrepreneurial spirit. Along with the amazing photographer Kristin Perers (who captured the glorious food photos for Claire’s book) they host weekend workshops on food styling and food photography. They call it Violet and the Vicarage and the website’s info page alone is beyond sumptuous. Top of my bucket list for sure! 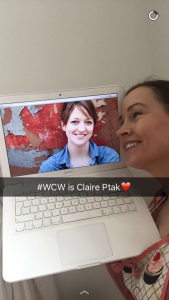 It would seem that Claire is only at the beginning of an amazing and exciting career with all sorts of fresh buzz about her. 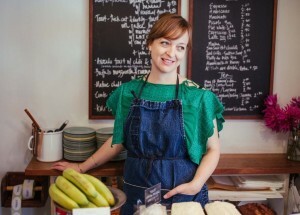 Yet she is a seasoned pro having worked under the tutelage of Alice Waters at world famous Chez Panisse in Berkley, California. 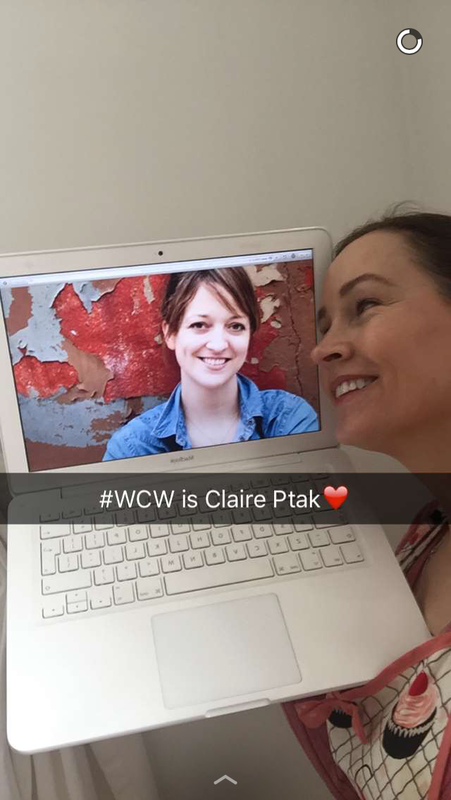 I’m not the only one in love with Claire! She’ll be a featured guest at my alma mater’s festival the Ballymaloe Lit Fest this year and also writes for The Guardian. She continues to hit it out of the park for her over 43 thousand Instagram account followers, sharing mouth watering food photos and precious pics of her new baby. I just can’t say enough nice things about this wonderful lady. A fabulous mentor to any woman out there wanting to carve a career for themselves in the culinary world. 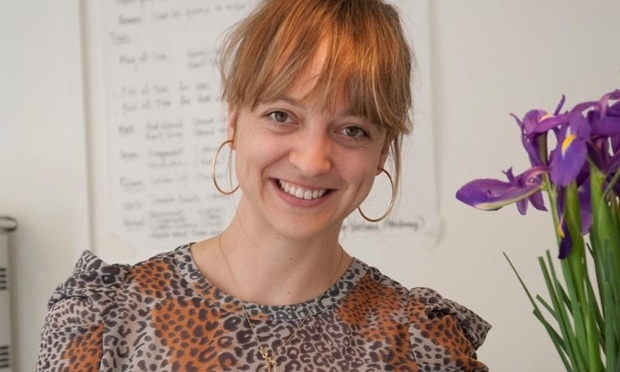 She is an utter success in her work and in life and therein lies that smile, as I suspect she is totally grateful for it all folks. ps. Now I am going to go into hibernation with my coconut macaroon coma!